There are 20 million children under the age of five in the U.S., and about a quarter of them (5 million) are in some form of organized childcare (centers, nurseries, preschools). The childcare market is worth $47 billion – a figure that’s expected to grow to $52.5 billion by 2021. Entrepreneurs who want a piece of this market by buying into a proven concept have a solid short-list with these 15 best childcare franchises of 2019. But first, it’s important to understand how this industry has evolved over the last several decades. Back in the 1970s, as more and more families began to have both parents working full-time outside the home, there was a growing need for daycare facilities for young children. In those days, most of the facilities that started springing up everywhere were largely providing little more than group babysitting, with little thought put into meeting a child’s educational needs. That changed abruptly in the early 1980s when many providers realized they could meet this growing need with specialized curricula that would not only provide the needed care and play opportunities, but also pay close attention to a child’s educational needs. These pioneering providers tended to start with a single location and eventually decided their concept and approaches were good enough to franchise. Primrose Schools was founded in the early 1980s by Paul and Marcy Erwin in Marietta, Georgia with a focus on education utilizing its proprietary Balanced Learning curriculum. It provides year-round programming for children from six weeks to six years old that includes after-school enrichment and summer programs. A primary focus for each school is social responsibility and community involvement. Each school is accredited by AdvancED as well as either the Southern Association of Colleges and Schools Council or the North Central Association along with its own internal Service Excellence Assurance (SEA) quality assurance program that reviews each school three times a year. This company is currently ranked #27 on Entrepreneur magazine’s Franchise 500 list. Founded in 1982 and franchising since 1988, the number of locations has been on a steady upward trajectory over the past 10 years from 188 in 2008 to the current total of 382, none of which are company-owned and all of which are located in the U.S. The Goddard School was started by Lois Goddard Haines in the mid-1980s to better meet the educational needs of children who require daycare. Preschool programming is available to children six weeks to six years old. Its proprietary F.L.EX. (Fun Learning Experience) Learning Program builds the emotional, academic, social, creative, and physical skills of children through play-based learning that goes beyond the basics to include sign language, yoga, music, foreign languages, and more. Parents receive daily activity reports and regular conferences during the year to discuss progress. This company is currently ranked #77 on Entrepreneur magazine’s Franchise 500 list. Founded in 1986 and franchising since 1988, the number of locations has continued to climb over the past 10 years from 320 in 2008 to the current total of 482, none of which are company-owned and all of which are located in the U.S. The Learning Experience got its start when the Weissman family opened the first location in Boca Raton, Florida. Its childcare combined with early education programs focus on the key educational and care principles covering a child’s cognitive, physical, and social development or, as the chain puts it, “learn, play, and grow.” Its proprietary L.E.A.P. (Learning Experience Academic Program) Curriculum covers all the basics but also includes sign language, phonics, foreign languages, manners and etiquette, physical fitness, and a philanthropy program. This company is currently ranked #79 on Entrepreneur magazine’s Franchise 500 list. Founded in 1979 and franchising since 2003, the number of locations has risen in recent years from 130 in 2014 to the current total of 212, of which 20 are company-owned and all are located in the U.S.
Kiddie Academy was founded by George and Pauline Miller to provide education-based childcare. Its Life Essentials curriculum allows children to learn at their own pace by stimulating their curiosity and instinct to learn through age-appropriate activities designed to make every experience a learning opportunity. It is a standards-based learning curriculum but also includes a strong character education component as well as a focus on STEM (science, technology, engineering, and math) education. This company is currently ranked #73 on Entrepreneur magazine’s Franchise 500 list. Founded in 1982 and franchising since 1991, the number of locations has grown over the past 10 years from 95 in 2008 to the current total of 206, only one of which is company-owned and all of which are located in the U.S.
Children’s Lighthouse Learning Centers was founded when Pat Brown and his brother G. Michael Brown had a vision for providing educational childcare to families in Fort Worth, Texas. It provides both academic programming accredited by AdvancED and a character values curriculum as well for children from infancy through 12 years of age. Focal character values include cooperation, kindness, honesty, diversity, and gratitude. Founded in 1996 and franchising since 1999, the number of locations has grown from 28 in 2009 to the current total of 49, none of which are company-owned and all of which are located in the U.S. Genius Kids was founded by Rennu Dhillon, a pharmacist with a doctoral degree in the Natural Sciences who was shocked at how many otherwise smart adults showed a lack of confidence and interpersonal communication skills. Knowing this was something best addressed when people are kids, she developed her own accelerated learning programs that incorporated speech and public speaking into every aspect of learning. The idea is to nurture children in a way that results in confident thinking and creative expression without fear. She opened the first location in Fremont, California, and added five more locations before beginning to franchise. Founded in 2001 and franchising since 2011, the number of locations has increased from seven in 2011 to the current total of 37, eight of which are company-owned and all of which are located in the U.S.
Lightbridge Academy got its start back in 1997 as the Rainbow Academy opened by Guy and Julia Falzarano with a vision that went beyond mere daycare to include creating a “circle of care” to provide educational programming and parental support. The chain has kept up with technology by offering ParentView Internet monitoring and an eCommunication app to provide parents with an ongoing connection to their children throughout the day. Founded in 1997 and franchising since 2011, the number of locations has grown from 10 in 2011 to the current total of 36, of which 13 are company-owned and all of which are located in the U.S.
KLA Schools was started by Candy and Roberto Ortega along with a group of investors in Miami, Florida. KLA Schools are inspired by the Reggio Emilia Approach to education developed by psychologist Loris Malaguzzi and parents in the villages around the Italian city of Reggio Emilia. It can be described as student-centered and constructivist, making use of self-directed experiential learning in relationship-rich environments. Founded in 2007 and franchising since 2009, the number of locations has climbed from one in 2011 to the current total of 18, of which five are company-owned and all of which are located in the U.S. This company is currently ranked #480 on Entrepreneur magazine’s Franchise 500 list. Founded in 1988 and franchising since 1999, the number of locations has risen from nine in 2009 to the current total of 24, five of which are company-owned and eight of which are located outside the U.S. Discovery Point was started by Cliff and Diane Clark in 1988 when they opened the first location in Duluth, Georgia. Their aim was to foster a love of learning through child-centered activities promoting self-discovery, problem solving, and creative thinking. The company partners with Teaching Strategies to implement its nationally-recognized Creative Curriculum system focused on helping children grow intellectually, physically, emotionally, and socially through a “whole-child” approach where the children feel loved and nurtured. Founded in 1988 and franchising since 1990, the number of locations has declined over the past nine years from a high of 62 in 2009 to the current total of 47, of which three are company-owned and all are located in the U.S.
KidsPark began when Debbie Milner opened the first location in San Jose, California. The chain offers childcare by the hour and back-up full-day care when a family’s primary provider is closed or parents have an all-day commitment. The focus is on play through imagination, movement, art, and socialization for both preschoolers and school-agers. Organized activities include arts and crafts, games, cooking, sensory exploration, music, stories, and hands-on science. Each location’s “no walls” floor plan lets children follow their interests while also allowing for continuous teacher and parent observation. Founded in 1988 and franchising since 2003, the number of locations currently stands at 17, of which two are company-owned and all are located in the US. Montessori Kids Universe was started in in Palm Beach Gardens, Florida and offers the combination of Montessori-inspired educational philosophy in a childcare center that also utilizes its own proprietary Reggio Emilia-inspired art and science curriculum. The teachers at each location are certified in Montessori education. Offerings also include baby sign language, yoga, music, art, foreign languages, gardening, cooking, and a STEAM program (science, technology, engineering, art, and math). Founded in 1988 but franchising only since 2013, the number of locations has grown to nine, none of which are company-owned and all of which are located in the U.S. Adventure Kids Playcare has a greater emphasis on fun and adventure than many of the academically-oriented childcare companies, and the staff or “play crew” at each location are all CPR/First Aid-certified. It provides drop-in childcare and entertainment for kids ages 6 weeks to 12 years old. They let kids play, explore, and learn in a safe and secure environment. Much of it is free-play, but there are also organized games and craft activities. Each location includes a huge “playscape,” video game systems, computers, Legos, play kitchens, costumes, and more. Weekend play opportunities are also offered. Founded in 2004 and franchising since 2006, the number of locations currently stands at 16, of which four are company-owned and all are located in the U.S.
College Nannies, Sitters, and Tutors is different from other education-based childcare companies because it focuses on providing nanny, sitting, and tutoring services in the home rather than standalone centers. It was founded by Joseph Keeley in Minnesota to help match college students, graduates, and teachers with families who want in-home care and education for their children. The approach is one-on-one role modeling, whether a family just needs babysitting, more extensive nanny services, or tutoring to help their children achieve academic success. This company is currently ranked #56 on Entrepreneur magazine’s Franchise 500 list. Founded in 2001 and franchising since 2005, the number of locations has grown over the past 10 years from 39 in 2008 to the current total of 188, none of which are company-owned and all of which are located in the U.S.
Seeking Sitters was founded when Adrienne and David Kallweit grew frustrated with trying to find reliable babysitters for their son. Adrienne brought her private investigator skills to the table for conducting thorough background screenings of all potential sitters. The chain offers sitting services ranging from the occasional need to full-time care. Customers pay a one-time membership activation fee that gives them access to all locations. Additional services include pet sitting, house sitting, and study support for students. 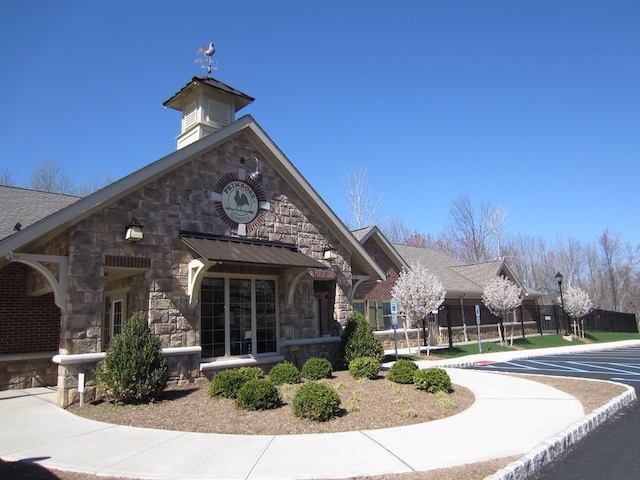 Founded in 2004 and franchising since 2006, the number of locations has grown to 104, of which 70 are company-owned and all are located in the U.S.
London Day School was established by Danielle Lindner and her husband Steven in Florham Park, New Jersey because they saw a need for enriching, challenging, and socially-engaging programs for young children that would develop not only essential academic skills but also children’s social and emotional intelligences. Its philosophy of enrichment and project-based learning facilitates children’s natural inclinations toward discovery while fostering independence, self-discipline, and motivation. The company announced its franchising program in 2015, but so far there is still only one location. I was wondering out of the chosen daycares how many of them are LEED-certified green childcare center franchises. If none of them should that have been a consideration in your choices? All About Kids Childcare Centers are LEED Certified.